Founded in 1995 by both German „Teutonlord" Wollwert on vocals/guitar and Meik „Destructor" Meiers" on the drums we eventually released three CDs between 1999 and 2004 with constantly changing members on our own account. During this time span "Barbaric Aussault" and "Dawn Of Gods" received the best reviews. 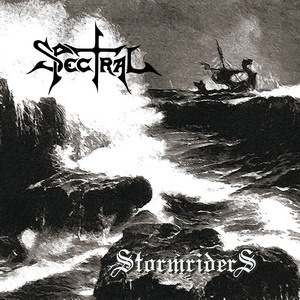 Again in 2007 we financed and recorded another album , ´Stormriders´. Shortly thereafter we received and signed the long awaited record-deal with CCP-who eventually released"Stormriders´in the autumn of 2007. The magazines were quite impressed (ROCK HARD, HEAVY, BLAST MAGAZIN, LEGACY, METAL AGE etc.) and many interviews and stories followed.The live front in 2008-2009 was more present than ever and we played almost everywhere. After this we were extremely motivated and went back into the studio to record "EVIL IRON KINGDOM". Since then we´ve been concentrating on our style and where this eventually will bring us in the future. Raw and heavy riffs, many breaks and tempo-changes coupled with a cold musical feeling. The latest news is that Aggressor switched from bass to the guitar-where he feels more comfortable. 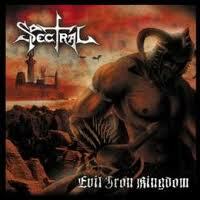 Due to this the future recordings will find even cooler solos which was a long time wish for SPECTRAL anyway. And so we got songs like ´Axecutioner´ with thrash-elements, which have the pleasant and long awaited sound color that we were aspiring towards lately with a mix of Black Metal, Viking/Pagan Metal as well as traditional Metal, with which one can feel comfortable with.